The property industry is on notice - the technology firms are coming for it. For the last two years we have all entertained the novelty of Proptech and have met new firms, started pilots, and even invested in first and second round funding. Proptech has been a buzzword, but it looks to be becoming an ingrained element of the industry. Industry big dog, JLL proudly proclaims “we are not a property firm; we are a technology firm that works in property". This year, the tech companies (both Proptech and Fintech) got serious - with their stands still banished to the basement of the bunker, they took their message out to the Croisette. One director from a well funded tech start-up we met was half way through his 70 meetings (yes, 70) in the three days and each company we spoke to had analysed the lists, segmented their target audiences and targeted the individuals that could buy product. This intense focus wasn’t limited to the daytime either, with a number of parties promoting tech taking place long after the sun had set over the Palais. Remit’s tech lunch hosted entrepreneurs from the UK, Switzerland and the Netherlands - we saw similarities of approach between these fast growing companies conquering the real estate industry at a very high pace. And they are encouraged by the growing competition - a tech MD told us she loves the fact that there is more than one option in her field - it gives their offer credibility, gets more marketing out there, and helps them differentiate. Each year MIPIM continues in its way, refining the offer, and relying on its network of contacts. This year as MIPIM 2019 celebrated its 30th edition, was no exception, with delegates from all corners of the industry turning out for seminars, stands, breakfasts, lunches, dinners and drinks. 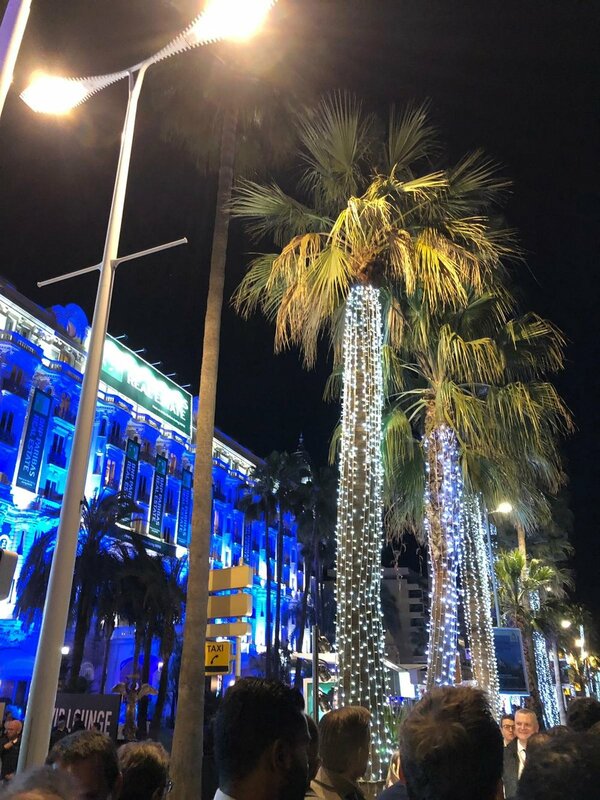 Andrew Waller's MIPIM blog (included below) about the way that all big fund managers are running pan-European digitisation projects was quoted in the MIPIM News on Wednesday and set the tone for several conversations. There were 26,500 tickets sold this year and just as many unregistered attendees, mostly standing outside Caffe Roma. Most people's dance cards were overfilled with parties and the weather stayed fine, making networking easy. There were no fewer Brits despite the current uncertainties (unlike Expo Real last October, which hosted a much smaller UK contingent than in previous years). There was still plenty of content in English, and MIPIM is still the place for the property industry to do business. Hans Gerritsen achieved his 25th MIPIM this year and he got the VIP treatment from MIPIM! What was very clear this year is that most banks are back in business despite Basel regulations - but they have now serious competition from financiers from outside the banking sector - pension funds, insurance companies and PE firms with lending platforms, not only from Europe or the USA, but more and more from Asia and the Middle East. And here too, technology is becoming more important with e.g. new real estate trading platforms for financing assets (including transaction pre-screening through origination algorithms, etc.). Money abounds and confidence is at record highs. This always worries us, but for once we are less worried about the size of cake - we are looking at who might be about to eat it. On Wednesday morning it was a real pleasure to attend the Make-a-Racket tennis classic charity tournament. Amongst other really interesting people, we were able to network with the renowned former British number 1, Tim Henman.